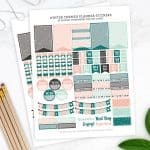 Home / Free Printables / Daily Instagram Photo Challenge – with Free Printable! 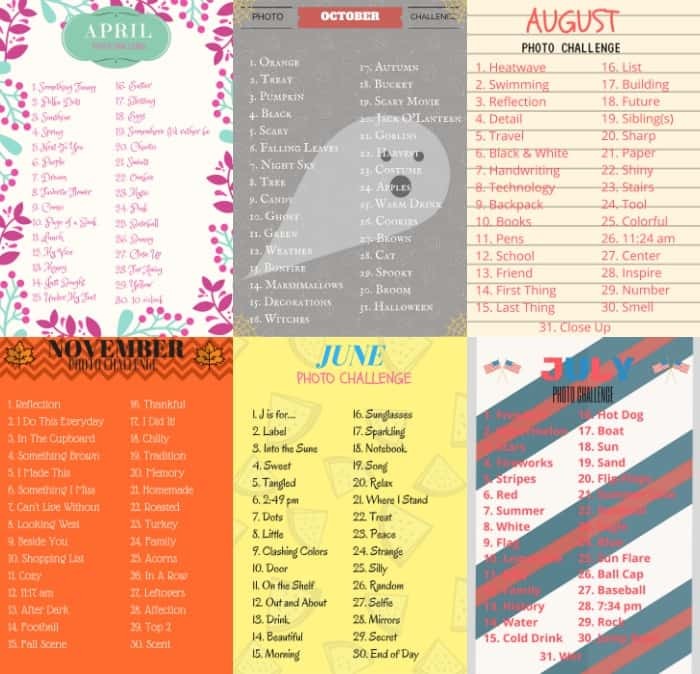 Grab your FREE printable for a daily photo challenge! This includes twelve months, 365 days. Take a new picture according to the theme and have fun! With the new year right around the corner, it’s time to get ready for an Instagram photo challenge! I guess I should explain what a “photo challenge” is, as well. 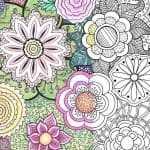 If you’ve never participated, it’s a 365-day challenge that entails a theme each day. And it’s your job to take a picture of that theme and share it on social media. It’s a fun way for those who love photography and documentation to expand their creativity. You can post these pictures on Instagram or Facebook, print them out, or simply keep them in your camera or on your phone. The choice is yours. As long as you are having a good time and getting creative! 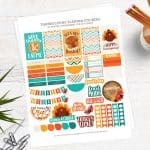 For your favorite challenge photos, print them out on sticker paper and place in that date – these double as planner decorations as well! 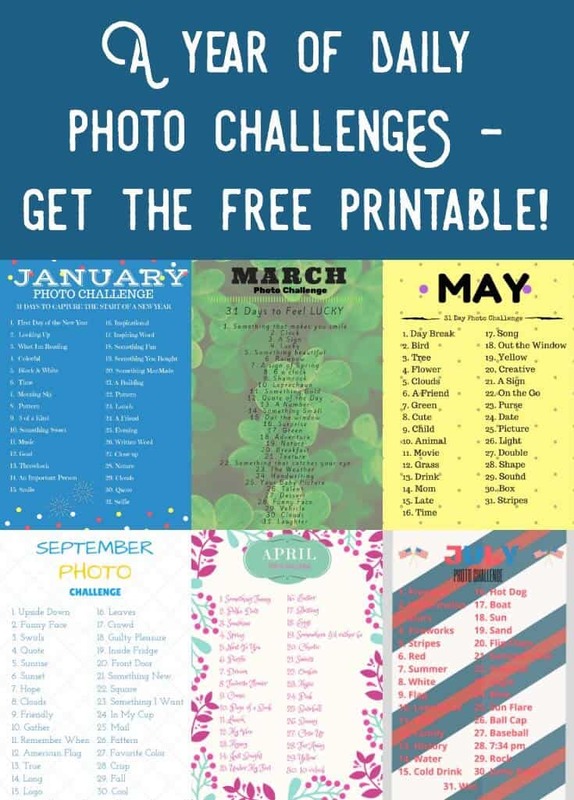 Don’t forget to download our photo challenge FREE printable here. 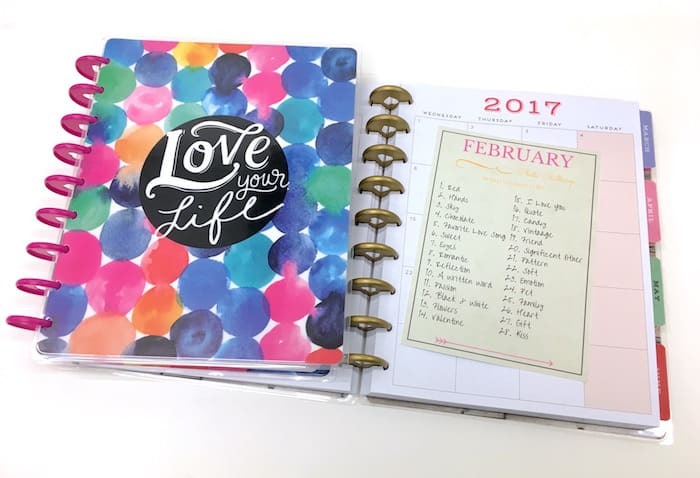 Make a fresh start in the new year and plan for a great 2018! 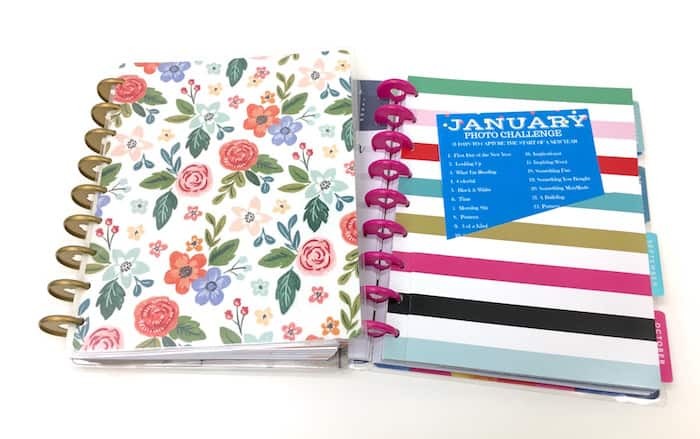 Michaels has a huge selection of planners as well as all of the accessories you need to personalize your own.